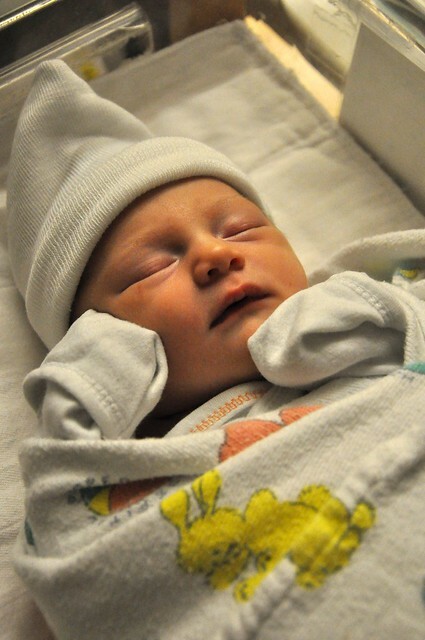 neverhomemaker: Welcome to the World, Ada Mae! Welcome to the World, Ada Mae! So much for taking some time off from work before giving birth! Little Ada Mae arrived yesterday, November 16th at 3:02 PM. My birth experience was a bit intense to say the least, and I plan to write more on (never home)maker, baby! sometime soon. 6 pounds, 13 ounces, 20 inches, and gorgeous! We'll be back at blogging soon. But to be completely honest, and I'm sure you'll understand, I'd much rather snuggle with my family right now.